What’s even harder than creating a breakthrough strategy? Making it stick. As companies are fighting to survive in a tough economy, this new book by Willie Pietersen demonstrates the power of the Strategic Learning process, a four-step dynamic cycle guaranteed to create and sustain winning performance. Adopted by a wide range of corporations and not-for-profit organizations, the Strategic Learning process builds on eight years of practicing, adapting and honing the original concepts Pietersen first introduced in Reinventing Strategy to explain how organizations can generate superior insights about their customers and competitors, craft a Winning Proposition, focus on a vital few key priorities, create buy-in throughout the organization and achieve success—again and again. Author Willie Pietersen, a former president of Tropicana and Seagram USA, is a professor of management at Columbia Business School. Strategic Learning shows you how your business or nonprofit organization can develop better, more effective strategies for long-term competitive advantage. Part I: What Every Organization Needs to Know About Strategy. Introduction: Winning in Today’s Hypercompetitive Environment. Chapter 1: The Real Job of Strategy. Chapter 2: Defining Competitive Advantage: How Much More Value Do You Deliver Than Your Competitors? Part II: Applying Strategic Learning to Create an Adaptive Enterprise. Chapter 3: Strategic Learning: Four Key Steps, One Cycle. Chapter 4: LEARN: Using a Situation Analysis to Generate Superior Insights about Your External Environment and Your Own Realities. Chapter 5: FOCUS: Clarifying Your Winning Proposition and Identifying Your Key Priorities. Chapter 6: ALIGN: Mobilizing Your Entire Organization Behind Your Strategy. Chapter 7: Overcoming Resistance to Change and Driving Momentum. Chapter 8: Translating Your Strategy Into a Compelling Leadership Message. Chapter 9: EXECUTE: Implementing and Experimenting in the Strategic Learning Cycle. Part III: Integrating Strategy and Leadership. Chapter 10: Leading Through a Crisis. Chapter 11: Becoming an Integrated Leader. Conclusion: The 5 C's: Choices, Clarity, Change, Courage and Compassion. Organizations create their futures through the strategies they pursue. These strategies may be developed in a thoughtful and systematic way or allowed to emerge haphazardly in a series of random, ad hoc decisions made in response to daily pressures. But one way or another, the strategy a company follows—that is, the choices it makes—determines its likely success. And in today’s fast-changing environment, the ability to generate winning strategies, develop the tools to apply them, and mobilize employee commitment—not once but repeatedly—is more important than ever. Yet astonishingly few executives, let alone the rank and file, are able to explain their company’s strategy in a clear and compelling way. The trouble is that strategy is a largely misunderstood and misapplied concept. Somehow, there’s a notion that strategy is complex and mysterious, something best left to gurus and experts. Actually, the opposite is true. It’s not at all arcane. In fact, it’s dead simple, and therein lies its power. It’s puzzling that so few companies have devoted sufficient time or energy to clarifying the nature of strategy or to creating an effective, organization-wide method for developing winning strategies. Instead, many of them plunge directly into strategy formulation on impulse, without defining a clear process. It’s as if the manager of an auto assembly plant were to dump a load of parts onto the factory floor and tell the workers, “Here, make some cars,” without defining a manufacturing process with the end product in mind. Only 37 percent said they have a clear understanding of what their organization is trying to achieve, and why. Only 20 percent were enthusiastic about their team’s and their organization’s goals. Only 20 percent said they had a clear “line of sight” between their tasks and their organization’s goals. It is hard to imagine how such companies can hope to survive and thrive with this lack of clarity and employee alignment on strategic direction. In fact, the evidence shows that the ability of organizations to maintain success in our VUCA (volatile, uncertain, complex and ambiguous) environment is inexorably declining. A survey of Fortune 1000 companies since 1973 found that between 1973 and 1983, 35 percent of the top 20 names were new (see Figure 1.1). The number rose to 45 percent in the following decade, and between 1993 and 2003, shot up to 60 percent. This state of affairs suggests that one of the highest hurdles facing organizational leaders today is their inability to mobilize their companies behind strategies that create and sustain competitive advantage. Source: Edward E. Lawler III and Chris Worley, Built to Change: How to Achieve Sustained Organizational Effectiveness (Jossey-Bass, 2006). The primary aim of this book is to offer a practical and proven method for creating and implementing winning strategies, and renewing those strategies as the environment changes. But this process—Strategic Learning—is not just a step-by-step ritual. It is inspired by a set of crucial underlying ideas. 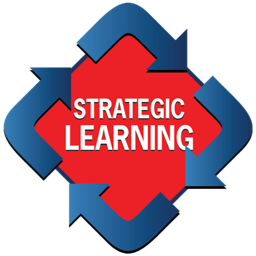 The key to the successful application of Strategic Learning is to understand and mobilize these key concepts. What key questions must strategy answer for us? Let’s examine each of these questions. Aristotle said, “We do not know a truth without knowing its cause.” Following Aristotle’s logic, the best way to understand the real meaning of strategy is to understand its origins. Where does it come from? Why does it exist? What is so compelling about it? What gave birth to strategy was the need to respond to two inescapable realities: the fact that we have limited resources, and the inevitability of competition. These stark realities force organizations to make choices on how best to use their scarce resources for the achievement of competitive advantage. The purpose of this choice-making is to create an intense focus on the few things that matter most to an organization’s success. Strategy is, simply, the sum of an organization’s choices about where it will compete, how it will create superior value for its customers, and how it will generate superior returns to its investors. In a world of limited resources, a company that tries to be all things to all people, with no specific focus or direction, will soon squander its resources and either fall behind its competitors or go out of business. Consider this: If you had unlimited resources, there would be no requirement for a strategy because there would be no need to decide what not to do. You could eliminate all risk by endlessly piling on resources, just in case your choices were wrong. You could survive indefinitely by throwing time and money and people at your problems until your obstacles and competitors are utterly overwhelmed. But in the real world, there is no such thing as unlimited resources. Even the world’s greatest corporations have only so much cash, so many employees, so many factories. The way that competition expresses itself is through the interaction of choices in the marketplace. The smartest choices, well executed, will win the game. What do the key deliverables of strategy look like? If it is to create value, strategy must provide a good return on the time and effort we put into it. A successful strategy is not just a matter of open-ended choice-making. It is choice-making in service of answering some specific and very important questions. The answers to these questions will determine your destiny. Now let’s indulge in a little military role-playing. Imagine that you are the leader of a country—let’s call it country A. Assume that for good and sound reasons, country A is faced with the unpleasant prospect of going to war against country B. You have asked your experts to study and compare the resources available to your country and country B. There are disparities, relative strengths and weaknesses, that call for a really smart approach to conducting this war. But if he is a good general, he will refuse to answer your question, until you have provided a clear answer to his question: “What is your aim?” What do you want to achieve by going to war? Is it regime change? Is it disarmament? Is it nation-building? The point is, you can’t figure out how you will win until you define what kind of contest you are involved in. Let’s translate this role-play into a business context. Of course, there are differences between warfare and business strategy. War is a matter of life and death, and wars are typically zero-sum encounters. But this military example clarifies some key principles about any kind of strategy. The first and most crucial point is that a strategy must define how you will win. This concept is not exclusive to warfare. On this point we must be clear: Winning in business means winning at value. That is a central theme of this book. In which market segments will we compete? Which customers will we serve? What will we offer our chosen customers? What will be our measures of success? How will we win the competition for value creation for our customers and investors? What will be our key priorities? How will we concentrate our scarce resources to achieve success? Second, the military role-play clarifies the questions that must be asked in the process of strategic choice-making for any enterprise. It is the answers to these questions that make your strategy specific, clear, and actionable. Here, then, in Figure 1.2, are the key questions every organization must answer in the process of creating a strategy. Military analyst Antoine Jomini writes that strategy is the concentration of mass upon decisive points. It’s the same in business. Answering these questions forces an enterprise to make its critical strategic choices and thereby harness the power of concentration. The ultimate purpose of a strategy is to create clarity of focus. This, in turn, is the essential platform for leadership effectiveness. "Strategic Learning has become a vital element of how we think about the future in Ericsson. The wisdom of Willie Pietersen's approach to strategy has helped us move from planning rituals to strategy as learning, and has made a big difference to the way we work." "Strategic Learning is the best method I've ever found for creating winning strategies." "Pietersen's focus on creating highly adaptive and dynamic strategy is essential for our turbulent times. His Strategic Learning process forces companies to confront difficult truths presented by the marketplace and helps them thrive amid uncertainty." "Strategic Learning and Willie Pietersen have had an amazing impact on the Girl Scouts, helping us create a transformational strategy to bring relevance to a ninety-seven-year-old organization. We are confident that we are now focusing on the few things that are making the biggest difference." "Willie Pietersen's deep insights about strategy and leadership have helped our commercial and medical leaders understand how we can move from merely doing strategy to excelling at it."